If the land around the house permits, a greenhouse in which to grow your own veggies is a good idea which not only will it generate some savings, but it will also keep you busy, with gardening being proven to have a relaxing effect, ideal for any city inhabitant going through a lot of stress. 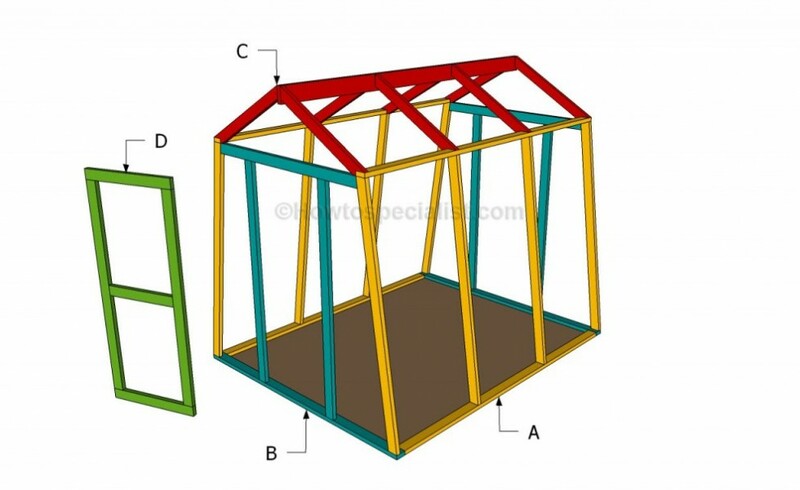 We have previously seen what steps to follow to build a greenhouse and we will today focus on building a wooden greenhouse. Some attached plans will help you get there more efficiently. The plan we picked comes from Howtospecialist.com. 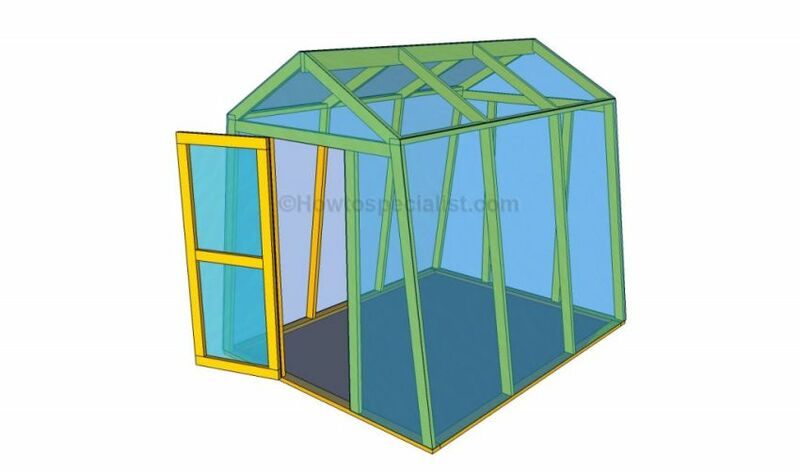 For a start, pick a location for the next greenhouse, making sure it has a large sunlight exposure. 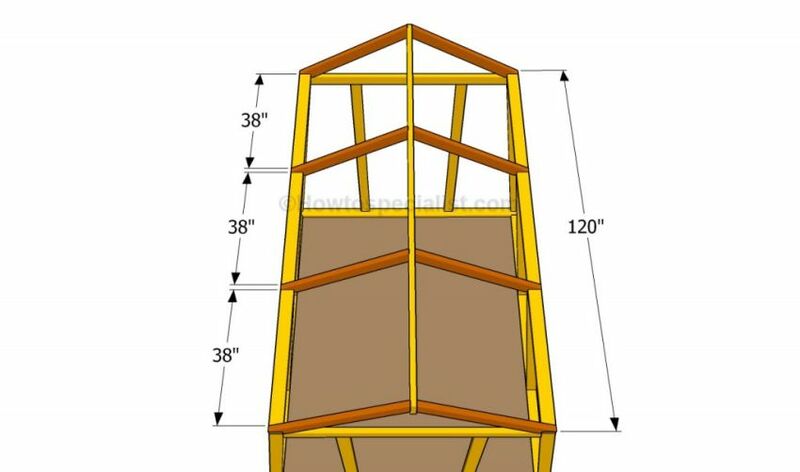 The first step of the project is to build the side frames of the small greenhouse. For that, you need two 3 meter long pieces of lumber, two 2.8 meter long pieces of lumber and eight pieces measuring 2.1 meters. As you can see in the image, you need to cut the ends of the studs at about 82 degrees. Use a circular saw with a sharp blade and smooth the cuts edges. In addition, you need to drill pilot holes through the plates and insert galvanized screws into studs. 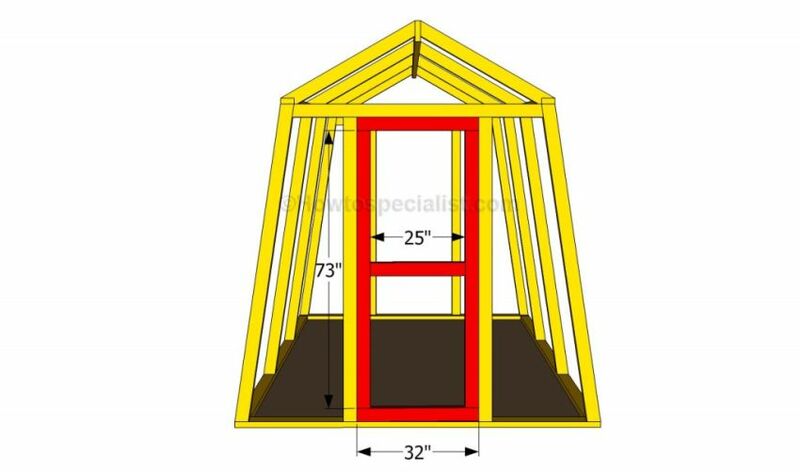 The front of the greenhouse is 2.4 meters in length at the basis and 1.6 meters at the top, with a height of 2 meters. 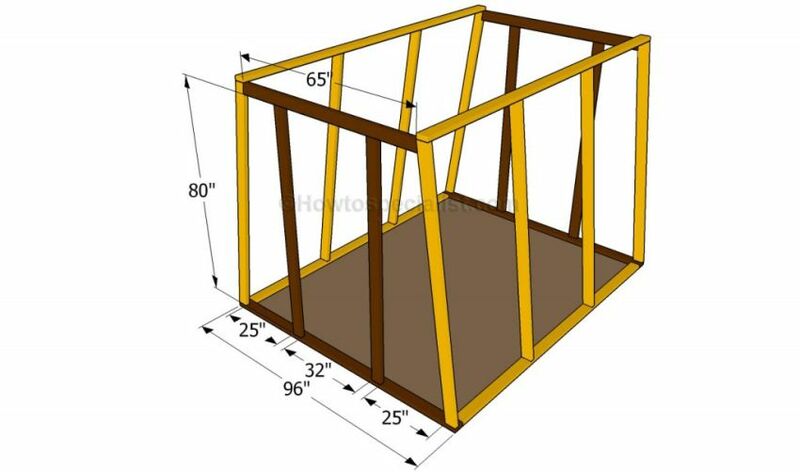 Use four pieces of lumber, two for each of the mentioned parts, and another two for the door frame. 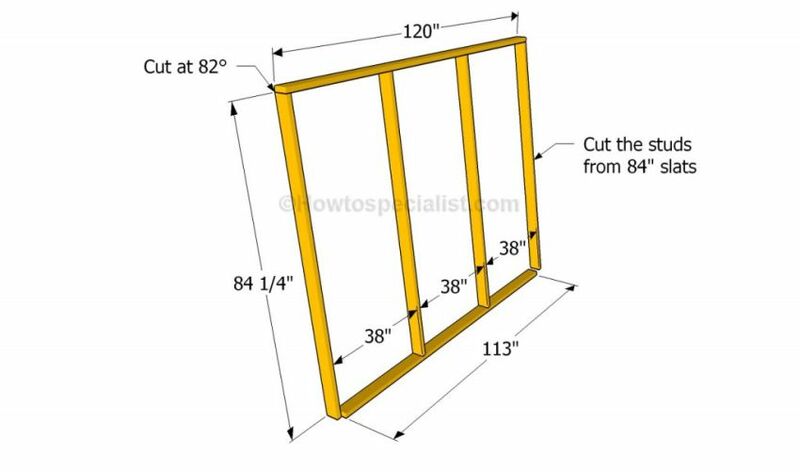 Cut the components at the right size and lock them together to the side frames with galvanized screws, after drilling pocket holes at both ends. In addition, place a spirit level on top of the walls, to check if the top plates are horizontal. It is necessary to insert several screws in the adjacent walls, in order to reinforce the rigidity of the frame. 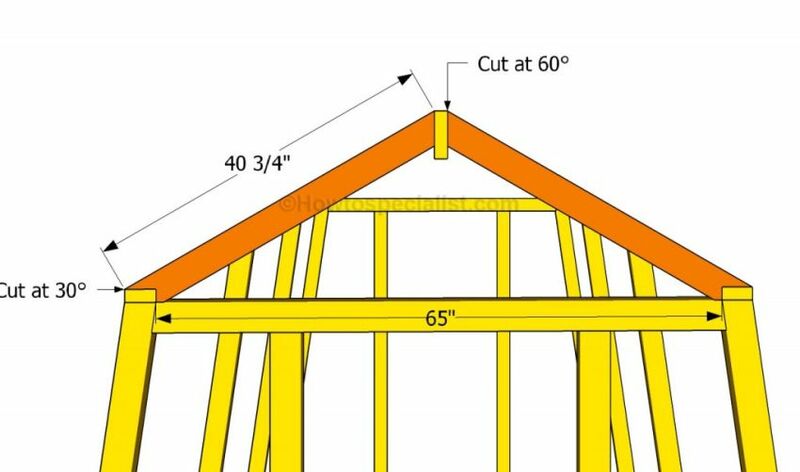 For the roof, use eight 1 meter long rafters joined at a 60 degrees angle and a 3 meter long top ridge which has the same length as the pieces of lumber used for the base of the side walls. The rafters should be spaced equally. Building the door of the wooden greenhouse is the last stage of the process. It should measure 1.8 meters in height and 81 centimeters in width to fit the rough opening at the front. Paint or varnish the wood before covering it in translucent polyethylene foil or polycarbonate sheets.